Hello friends! 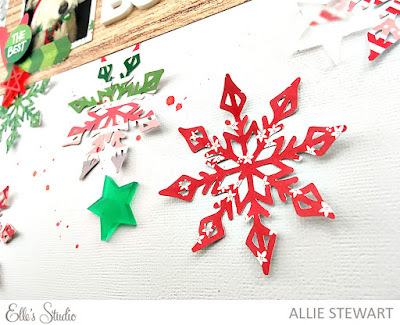 I'm so excited to be sharing the Elle's Studio November launch with you today. 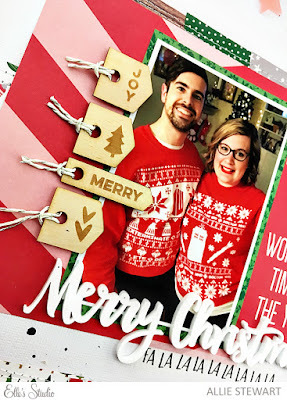 I love the versatility of this release--it coordinates with Autumn themed items AND the Tis the Season collection! 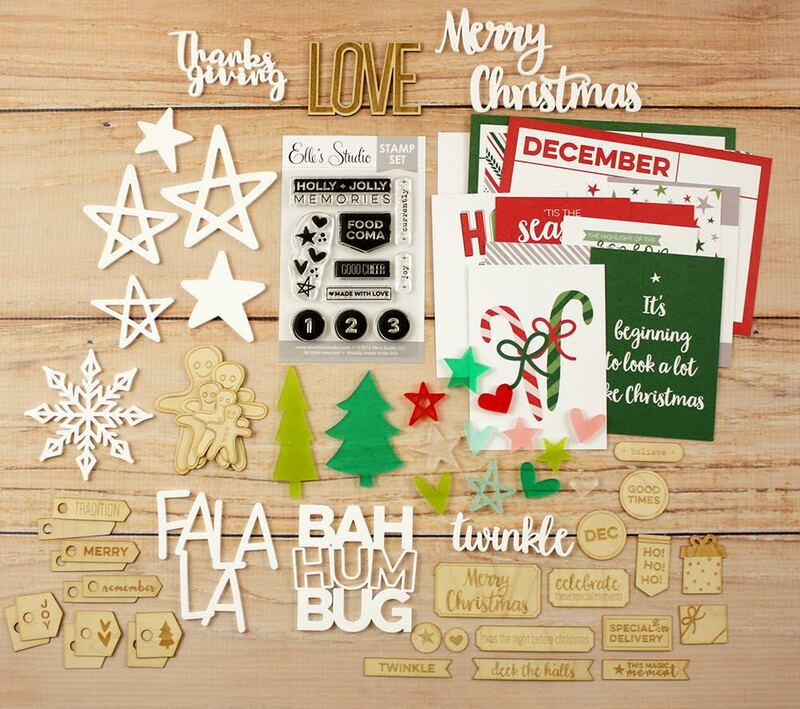 I am especially in love with all of the extras this month, The acrylics and wood veneers are so adorable! 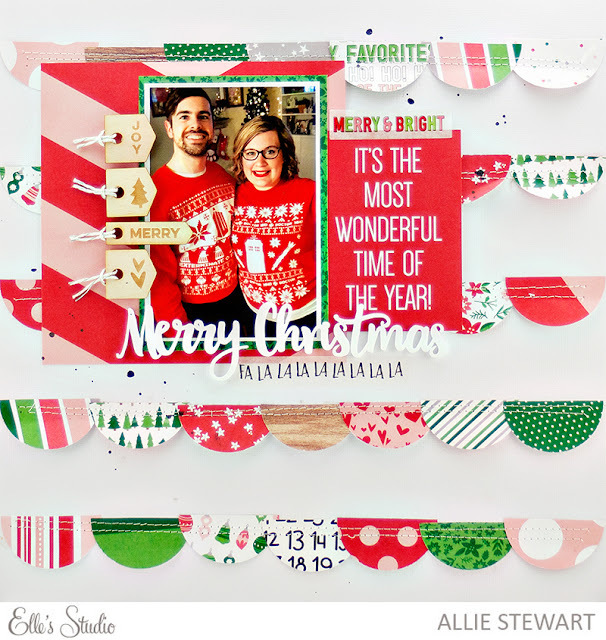 I created two layouts using the November release and the Tis the Season collection. I used the ADORABLE wood veneer tags to border my photo, and the beautiful Merry Christmas acrylic for the the title! 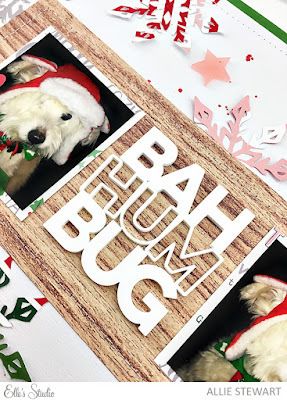 For my next layout, I wanted to use the Bah Hum Bug acrylic. I had a few pictures of Teddy looking very unamused that I thought would be perfect! 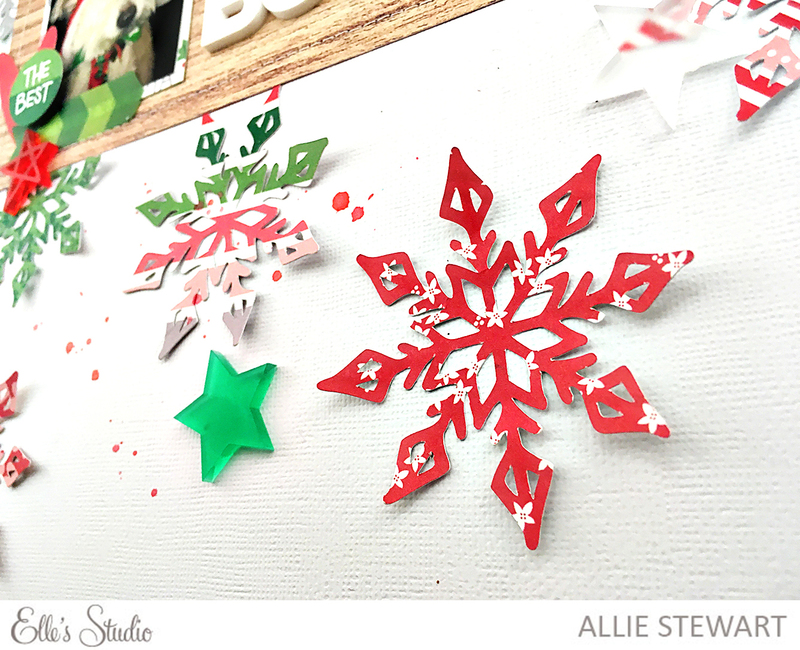 I used the new November cut file and cut snowflakes from the Tis the Season paper pad. I placed them randomly across the page to create a background. To help my photos and title stand out, I backed them with the woodgrain paper and sewed it down. I also stitched around the edge of the layout for a border! 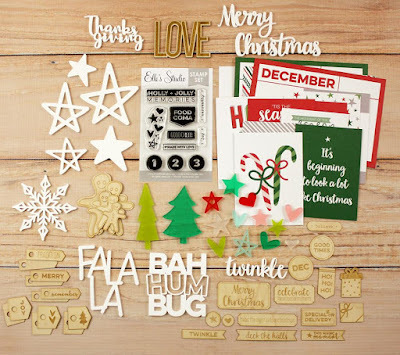 I added a few bits from the November kit, as well as the Tis the Season Bits & Pieces and washi tape. I finished off with the star acrylics!